Preheat the oven to 400F/200C. Grease a 13×8 inch/33×22 cm-jelly roll pan and line with nonstick parchment paper. Place the eggs, egg white, and sugar in a bowl over a pan of very hot water.Whisk with an electric mixer until pale and thick enough to leave a trail. Whisk in the vanilla extract, then fold in the flour lightly with a metal spoon. Spoon into the pan,spreading evenly. Bake in the preheated oven for 12-15 minutes, until golden brown and firm. Quickly roll up the sponge from one short side, with the paper inside. Cool completely. Carefully unroll the roulade, remove the paper and spread the raspberry jam over. Roll up carefully. 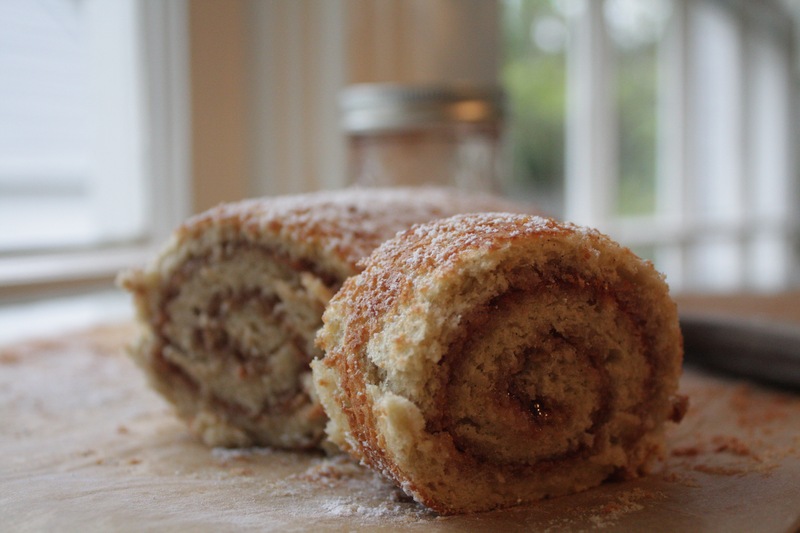 Serve the roulade dusted with confectioners’ sugar . Enjoy !! Raspberry Roulade – Bonne Maman Raspberry Preserves Buy Here . Hi Lily, Thank you for visiting my blog! Hope you try this recipe; it is delicious! Hi Carla, it’s good to see you here! Thank you very much for visiting my blog!